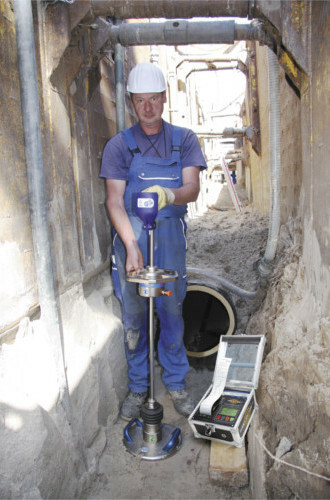 Light Weight Deflectometer TERRATEST 4000 USB is ideal for checking compaction on site in less than 2 minutes. Thanks to its Bluetooth technology the Light Weight Deflectometer TERRATEST 5000 BLU is ideal for compaction tests in trench digging. 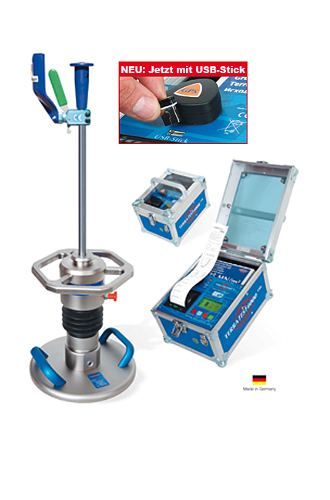 Thanks to “CARRELLO” you do not need to carry the 35 kg Light Weight Deflectometer during your test trip on the construction site. Light Weight Deflectometer TERRATEST 5000 BLU performs load plate tests in a very comfortable way, using Bluetooth technology. 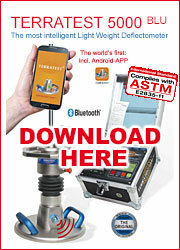 TERRATEST 5000 BLU is the first Light Weight Deflectometer in the world transmitting test results wirelessly from load plate to measuring device, smartphone or tablet. This is a big advantage on site, because no cable gets in the way of your test procedure. No cable – no problem! 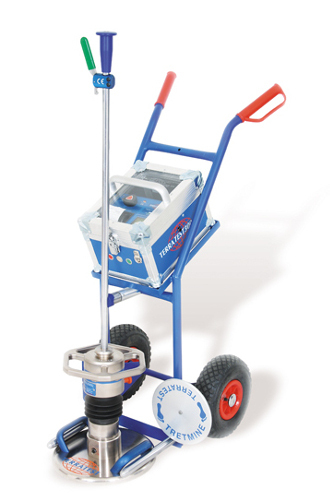 Light Weight Deflectometer TERRATEST 5000 BLU is particularly suitable for use overseas – thanks to its wireless operation, repairs of the “Achilles’ heel” of Light Weight Deflectometers, the socket of the load plate, are being avoided.